I love the beginning of the school year, don’t you? It feels like spring in the fall, it’s a time when things begin anew and I’m no longer playing catch up. Planning your homeschool year represents a brand new start. Bring on the routine, bring on the quiet mornings of reading and lessons, bring on the satisfaction of a newly learned concept. We’re not all cut from the same cloth, but most homeschoolers find it helpful to plan lessons and workflow. But what does that look like? It actually starts at the end of the prior school year with an evaluation of what went well and what needs to be improved. What are my children’s strengths and weaknesses? Do they need another year of geometry, spelling or reading comprehension? Did the last book help them learn? Are their learning styles visual/verbal, tactile/kinesthetic, visual/non-verbal or auditory/verbal? For which subjects do I need new books—books that fit their learning styles best? With how many subjects do they need minimal help? How well do they work alone? Which books will enable them to work and learn independently? How much time do I have available if I want to use a more interactive curriculum? Do I want curriculum that does all the work for me—lesson plans, tests, study sheets, etc.? Should I sign them up for tutorials or co-op classes with other kids? When is it a good time to have them take dual-credit classes at the local community college? What are their gifts and talents? What do they love to spend most of their time doing? Could I push them a little outside of their comfort zone? According to public school development guidelines, students can earn six credits for electives on their high school transcripts. ** Some examples include: foreign language, music, art, photography, computer programming, web design, game design, driver education, speech, debate or sports. Consider enrolling all of your kids—or siblings close in age—in the same sport: Larger families can find it helpful to only do one sport or hobby per year. One family did soccer for years, and then they all agreed to switch to jiu-jitsu. It cut hours off the driving schedule and helped the family to stay close. How much time do I have to spend with my children? Do my children need a daily checklist? Do I need a daily checklist? What will I use to create checklists for my children and me? How often am I able/willing to drive my children to extracurricular activities? How many hours of study per day works for us as a family? How early do we start each day? For how many weeks of the year will we do school? 1. According to the ruling in the Leeper v. Arlington class-action suit that defines homeschooling in Texas as a private school for the purpose of compulsory attendance, homeschoolers must follow a bona fide (i.e., not a sham) curriculum that includes math, reading, spelling, grammar and a study in good citizenship. 2. The TEA recommends that Texas public school students take two semesters of P.E., two semesters of computer technology and one semester of health education. Students can take a total of six credits of elective classes. 1. Buy books that already have yearly lesson plans in place. 2. Research resources that are available online or through social media to help plan your homeschool year. 3. Get your teens to plan their own school year. It will take less time to tweak their plan than to start from scratch. The added bonus is teens will take ownership of their own education. My organizational method takes several hours per week about three times a year. I begin by deciding on the curricula that we are going to use for all the different areas we want to cover in approximately a semester’s time. By the way,I have one great secret for making that decision—prayer! After that most difficult decision is over, I sit down with each textbook, workbook and other materials for each subject. I briefly look over each one, get a good feel for what the materials cover, and then group the materials that belong together. Here is where the fun starts. I continue breaking each segment of all the related materials into daily bites of information. For some days, I may choose enough material for 20 minutes, but on other days that I think will be more challenging or interesting, I will select enough material for an hour or two. This is never intended to be exhaustive, but this is my skeleton on which I will later put meat. – After I finish organizing each individual component that I will use to teach Texas history, I sit down with all of the materials, my lists and a traditional teacher’s plan book. I label each row with the different subjects we are going to cover during the year, but I leave the column headings open. The row for this will obviously be labeled Texas History. For the next day, if I think we only need to do the next work in Sam’s, I write in my planner “Sam’s #2.” When we get to the next day, I think we can do work from BG and Sam’s only, so I will write, “BG#2, Sam’s#3.” Looking at the fourth day, it may be “BG#3, STH #2.” I will keep on doing this until my planner is full of my abbreviations from my notebook pages. Once Texas history is done, I proceed to plan math, science, reading, grammar, spelling and everything else in the same way. I always do all of this in pencil and never go too far ahead. I always leave time for creativity by not putting dates or days at the top of the columns. I may put notes to myself on a teaching strategy that I want to use, but the bare bones are my main concern. When we begin school, we are always on the first page and in the first few columns. I expect my children to daily look at the planner and the notebook pages to get their assignments. As the days and weeks go by, we naturally go faster in some subjects than in others. For instance, we may be on page 10 in the planner for science but only on page eight for reading. As time passes, I check off both on my lists and in the bottom right corner of my planner grid as we complete each section. Sometimes I use color-coded checks for each child because one moves faster than the other when they are using the same materials. This keeps me in touch with how we are faring with time requirements and lets me know if I need to speed up or slow down. We have never stuck with my exact plans because there is always something I did not expect. This could be a child loving the subject and wanting to dive deeper or a family member getting sick and requiring a week of care. When the latter happens, even to Mom—I once had pneumonia for four weeks—my system can be a lifesaver. No, the teaching and enrichment from me did not happen, but my sons knew just how much they were expected to do each day without Mom there. My planner can serve as a substitute teacher. The system works because the boys are accustomed to looking in the planner and then to the notebook sheets each day to see what their requirements are for that day. When I am really, really organized, I even leave a spot for housework, piano lessons, baseball games and practices, family time, and whatever else we have going on in our lives at the time! 1. I can use it for traditional textbooks and workbooks, for unit studies, or for a combination. 2. I use the planner to designate which material I want my child to do on his own and which material we will do together either one-on-one or in a group. 3. It works for different age levels using the same materials by giving more challenging assignments to advanced students while allowing younger students to learn at their own pace. 4. It prevents me from losing a great supplemental activity, because I make sure that each idea is written down in the planner for the appropriate lesson so that I will not forget it. The penultimate step in this process of planning your homeschool year requires a trip to the copy machine, as I take all of the activities that I need to copy for the year to the photocopier. Then, I gather all of the notecards, construction paper, folders and whatever else I think we will need. I try to put this into a folder, box or tub labeled either by child or by subject. I try very hard to anticipate everything I could possibly need and have it on hand. Then, when we reach Sam’s #72 three months later, everything that we need is already available. I did not use this method for about two years. Now, I feel like those were lost years because I am not sure what we did. I know we schooled and worked, but I do not have a planner to reassure me. Learn from my mistake and plan your homeschool year! 1. Review Last Year. Many studies have a review of the previous year built into the first few lessons. Consider using this time to get a good feel for the flow of your day or week. By making a preliminary schedule of only the first four to six weeks, you can allow yourself flexibility in the event of unforeseen conflicts without having to reconfigure the entire year. 2. Incorporate Discussion Time. Some might say that a parent should not have to plan time to talk with her children. I agree to a point, but what I am talking about is devoted time to listen—perhaps over lunch or a special errand. Make discussion time part of your daily or weekly schedule. It will be refreshing for parents caught up in workbooks, long math lessons, meal preparations and laundry, among other things! 3. Capture Developmental Milestones. When your children were young, the pediatrician focused on their milestones of development such as sitting up, crawling, feeding themselves, walking, etc. As parents, we are still called to monitor our children’s milestones both academically and socially. Add time to your schedule for simple skill mastery such as learning to follow a recipe, doing laundry or mowing the lawn. Social graces such as cell phone etiquette, table manners and the lost art of a handwritten thank-you note are all things for which you can set aside teaching time. As students get older, tasks such as managing a checkbook, balancing a personal budget or creating a resume are all skills vital to success. 4. Schedule Outside Activities. If your homeschool support group is as active as ours, there is no way you can do all the things that are offered and still have time to complete your studies. 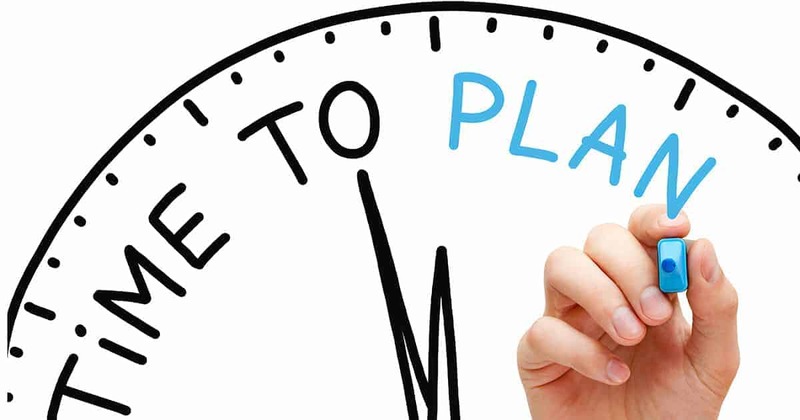 You should determine how much time you will allot for outside activities such as sports, church programs, volunteering or classes during your planning time so you will not feel guilty about saying no to the pressure of a last-minute extracurricular activity during the homeschool year. 5. Embrace the Stillness. Quiet meditation time is vital to the success of anyone’s day. Schedule time to enjoy a cup of coffee or tea, prepare your mind, pray, spend time in God’s Word, enjoy a meditation track or just be still. Your children will benefit from a peaceful start to the day and you will, too! Sometime in the middle of fall, don’t be surprised if you notice a significant lag between your best laid plans and actual progress. At that juncture it will be time for a Teacher Workshop Day. Public school teachers do it, so why can’t a homeschool teacher? Taking a day to step back and regroup can do wonders for your attitude, not to mention your schedule. Rather than causing you to fall further behind, the day will refresh you and give you the incentive to keep on keeping on. In fact, by scheduling Teacher Workshop Days throughout the homeschool school year, you actually accomplish more and ameliorate that nagging feeling that there are so many things that you never seem to get done. I named my mid-year planning days “Ketchup Days,” both for the pun playing off “catch-up” and for the condiment. Here’s how they work. 1. Plan a simple meal. Hot dogs are a favorite with my boys; hence, the ketchup title. No matter what you serve, it is not the day to bake bread, try a new recipe or have company that evening. Have a few very simple meal ingredients or frozen meals on hand that can be saved for those emergency days. 2. Put off major jobs around the house unless a major job is what you have planned for your catch-up day. 3. If you have a mixture of ages in your family, let the older children do something special with the younger ones. If all your children are young, you might ask a grandparent or a friend to help you by watching the children and doing something special with them. Be willing to help your friend in the same way. 4. It’s a great day for a movie or a field trip with Dad while the lead teacher re-evaluates goals, schedules and work flow. 1. Don’t forget that school is not life. This may seem like an odd place to start, but it is good to remember that a child’s life is not only about school. Does my child have good manners? … an engaging personality? … compassion for the less fortunate? … a good sense of humor? … a servant’s heart? … courage of convictions? … a hunger for God’s Word? As we teach those much-needed academic skills, let us also remember to show our kids how to live and how to succeed as God counts success (Joshua 1:8). 2. Don’t worry if your schedule is not structured enough. The schedule under which most of us were educated (8:30-3:30, Monday through Friday, September through May) originated in America within the last 150 years. No particular model or schedule for schooling was given to Moses on Mount Sinai, so relax and do not be afraid to think “outside the box.” Routine is good, but flexibility is important, too. 3. Don’t make curriculum your master instead of your servant. You decide what, when, and how much to do. If the kids (or you!) get tired, take a break. Slow down. Do something different. Take a field trip. Skip some pages or throw out something altogether. I used to feel bad about this until I made the fascinating discovery that much of our curriculum coming from a Christian college was written by unmarried, childless, graduate students! Keep that in mind when you are trying to figure out how you could possibly teach all “they” say you are supposed to cram into a school day! This is not an excuse to be lazy, and you certainly do not want to raise an illiterate child. But if you can instill a love for learning and concentrate on character and spiritual training, do you really think you are going to scar your child for life? 4. Don’t create a mini public school in the home. In my opinion, your goal in homeschooling should be not to recreate the public school classroom, or even the Christian school classroom. Your goal should be to impart those unique insights that God has given you and to promote the love of God, love of His Word, love of learning, love of family, love of neighbor and strong character. Along life’s way, you can teach your children whatever academics and skills they need to achieve these goals. School is a means to reaching these ends; it is not an end in itself. 5. Don’t overemphasize rote learning of Trivial Pursuit-style facts. Before you require your child to sweat great drops of blood over learning something, make sure there is a compelling reason for them to know this information. Remember all those tests you crammed for in school? Remember how much of that information you forgot in a matter of days? If somehow you have managed to function well in society despite all those things that you have forgotten, then maybe your child does not need to be forced to “learn” them! Seriously, does he really need to know the Latin names of those butterflies or what kinds of trees grow in Zambia? Do you know those things? Let us be purposeful not to fill our children’s heads with disconnected factoids. They can always research them in a pinch! 6. Don’t shorten time for your children to discover what they love. I believe in giving children time to explore the things that intrigue them. I have heard this called “delight-directed” learning, and I love that phrase. You should allow your child the freedom to discover their unique gifts and interests, and what a joy it will be when you see their love for learning! This is truly one of the greatest blessings of homeschooling. So, after you finish the basics, do not be afraid to give your kids extended periods of time to study and do what they love. 7. Don’t think like a sprinter; think like a distance runner. If you have a gut-level, Scripture-based commitment to homeschooling, then you must figure out how to stay in this for the long haul. Make whatever changes are necessary to maintain consistent, if sometimes slow, progress. As in “The Tortoise and the Hare,” slow and steady wins this race! 8. Don’t go at it alone. Get input on your homeschool plan from veteran homeschoolers. Be sure to have a specific planning question in mind if you don’t know who to ask. 9. Don’t try this in your own strength. Go boldly before the Lord with your petitions for your children and take them before the throne of grace daily (Hebrews 4:16). God has promised to give us the wisdom that we need for all of life (James 1:5). As you seek Him, He will give you the insight and perseverance that it takes to do this wonderful, terrifying, exasperating, blessed thing we call planning the homeschool year. Are you a THSC member? We appreciate your commitment to our mission Keeping Texas Families Free! If you are not a member, consider signing up today to get more THSC planning resources and homeschooling support.